We’ve been going through the shop to begin the gigantic task of listing up many of our unique items online for sale. We’ve had many out-of-town inquiries about some of the more hard-to-find products. There has been a steady flow of traffic from the shop to the post office as we ship everything from Chalk Markers to Pastel papers across the country. 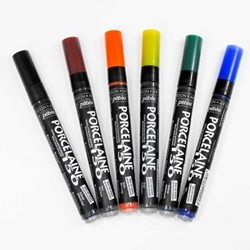 You can find a sampling of what we offer on Etsy, starting with our fantastic art supplies. 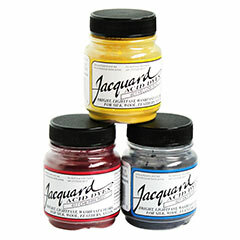 Today we listed our full selection of Jacquard Acid Dyes and Pebeo Porcelaine 150 ceramic markers. More items will start to appear daily as we go through our massive amount of inventory. This entry was posted in Uncategorized on September 18, 2014 by dave.